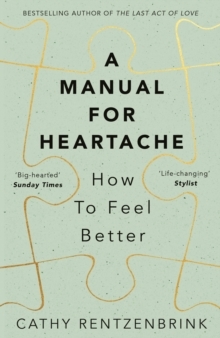 'I devoured A Manual for Heartache in one sitting . . . a kind, honest and wise book about how to make a friend of sadness.' Rachel Joyce, author of The Unlikely Pilgrimage of Harold Fry. When Cathy Rentzenbrink was still a teenager, her happy family was torn apart by an unthinkable tragedy. In A Manual for Heartache she describes how she learnt to live with grief and loss and find joy in the world again. She explores how to cope with life at its most difficult and overwhelming and how we can emerge from suffering forever changed, but filled with hope. This is a moving, warm and uplifting book that offers solidarity and comfort to anyone going through a painful time, whatever it might be. It's a book that will help to soothe an aching heart and assure its readers that they're not alone.